Back in 1978 BS 5534, the Code of Practice for Slating and Tiling, was first introduced as a British Standard. There are various updates that have taken place over the years. Changes to BS5534 (the British Standard / Code of Practice for Slating & Tiling) came into full effect on the 28th February 2015. 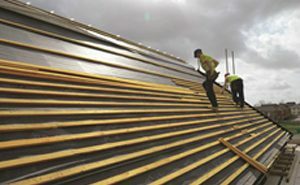 Against a background of worsening weather conditions, the new standards are designed to improve the overall quality and strength of the roof structure. 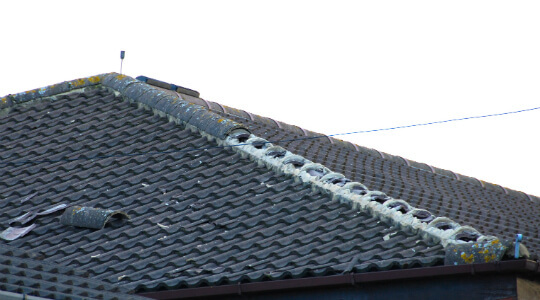 1) All bedded ridge and hip tiles must now be mechanically fixed. 2) Roof underlay meeting British Standards will be classified as to where in the country, and at what maximum batten gauge, it may be installed. 3) Laps should be secured by a naturally occurring batten course. Where necessary, the lap of the underlay should be adjusted to coincide with the nearest slating or tiling batten. Laps may alternatively be sealed with a manufacturer approved glue strip / tape. 4) All single lap tiles must be mechanically fixed (e.g. clip or nail) with two fixings at the verge (one of which may be an adhesive). 5) Timber battens and counter battens should be factory graded to BS 5534. 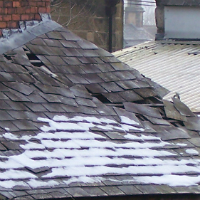 Failure of mortar accounts for over 60% of all insurance claims related to roofing. Changes to BS5534 are designed to prevent this. Failure in mortar accounts for 60% of all insurance claims related to roofing. How do I comply / What’s the solution? 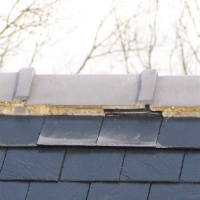 Use of a dry ridge fixing kit, or the use of the correct type (as defined in the new standards) of mortar with additional mechanical fixings. The Manthorpe Universal Dry Ridge System will fit most roof coverings. 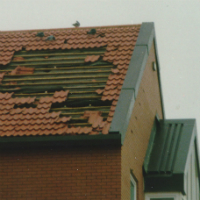 A combination of the availability of lightweight membranes and worsening weather conditions (especially higher wind-speed) has led to an increased number of roof blowouts caused by the ballooning of underlays against the underside of tiles and slate. a) Choose membranes tested to BS 5544, which are suitable for the region you are working and the battening gauge of your roofing slate or tile. Higher wind speeds have led to an increased number of tile blow-outs. Both structural strength of the roof, and Health & Safety of staff are affected by the use of poor quality batten. Use graded battens, manufactured to BS 5534. Previously, those working to BS 5534 were allowed to self-grade batten for roofing purposes (also see NFRC Technical Bulleting 33 dated Nov 2012). Opinion on whether self-grading of Roofing Battens is still allowed under the updated version of BS 5534 is divided. The new British Standard does not state that self-grading is an acceptable practice, whilst stating at the same time that no changes have been made to the standard in regards to battens. Ashbrook Roofing has asked for qualification from the NFRC on this matter. Q: Does this standard apply to new build only? A: BS5534 covers new and re-roofing projects. It applies to all roofs but those with special details and certain aspects of heritage and conservation works. Q: Does this change affect me? A: BS5534 will be the main document against which work is judged with regards to queries or disagreements over the contract specification. It will be for the roofer responsible for the works to prove that what they have done is as good as or better than the standards required by BS 5534. Additionally, work undertaken and insured by the NFRC, as well as work self-certified under the Competent Roofer scheme, must be compliant with BS 5534. Q: Why have there been so many changes? 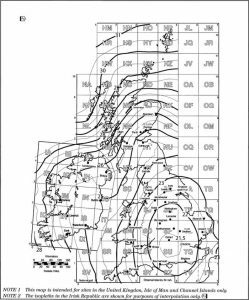 A: The standards have been completely updated since the last review in 2003. This brings together guidance on updated work practices, new materials and adoption of European Standards related to building design. At the same time this new standard on slating and tiling responds to worsening weather conditions and high levels of insurance claims (in particular those related to mortar). Q: Has BS 5534 replaced BS 8000 – the Code of Practice for Workmanship for Slating and Tiling? A: No. BS 5534 (which relates more to design) and BS 8000 (which relates more to workmanship) should be read in conjuncture with one another. Q: Is there a British Standard for Dry Fix Roofing Products? Really glad to hear that you enjoyed our blog. Best of luck to your community project! Previous Previous post: 1F Felt: Roofers return to undertile felt.